NEW YORK -- An animal welfare group says an elephant named Happy who has lived mostly alone since her mate was fatally injured is being "unlawfully imprisoned" by a New York City zoo. In a legal petition filed Tuesday in Orleans County, the Nonhuman Rights Project says Happy has similar rights to a human being and should be relocated from the Bronx Zoo to a larger private sanctuary. Bronx Zoo Director Jim Breheny says the lawsuit is based on "ludicrous legal arguments and lies." 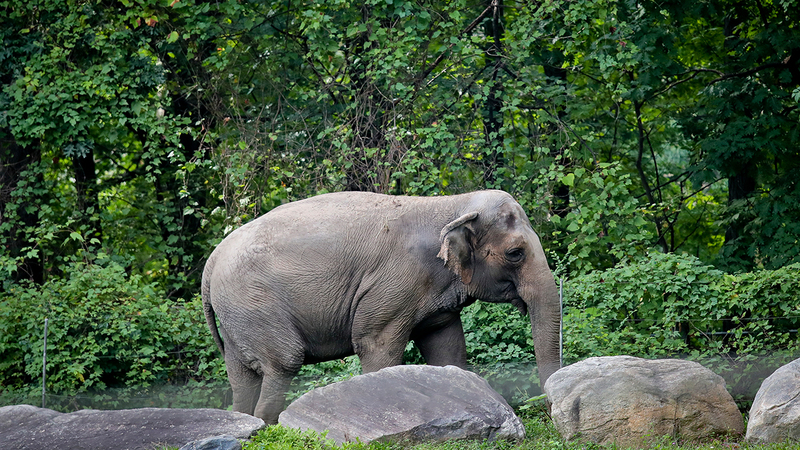 Happy was paired with another elephant named Grumpy for 25 years. Grumpy died in 2002 after he was injured during a confrontation with two other elephants. She was then paired with Sammy, who died in 2006. Zoo officials say Happy is content, not isolated and might suffer from a transfer.